Since its activation last August, the Plan Vuelta a la Patria has repatriated more than 2,500 Venezuelans who, alienated by a voracious media campaign that positioned the humanitarian crisis in the Caribbean nation, decided to migrate to other latitudes without foreseeing the situation of vulnerability to which they would be subjected. This plan, promoted by the President of the Bolivarian Republic of Venezuela, Nicolás Maduro, which objective is to support compatriots who wish to return to the Fatherland, has managed to send 190 nationals from Peru back to the country; 92 from Ecuador; five from the Dominican Republic; two repatriates from Chile, one from Panama and 39 from Colombia who arrived this Sunday from Bucaramanga, of which 35 are from the Yukpa people. These countries are now followed by Brazil, a South American country where the number of Venezuelans who have requested to be returned to the country rises to more than 2200 cases. There, the xenophobic acts against nationals has been recorded with greater intensity, one of the episodes was recorded last August when a group of Brazilian citizens from the town of Pacaraima stole personal items and burned the tents where Venezuelans spent the night. 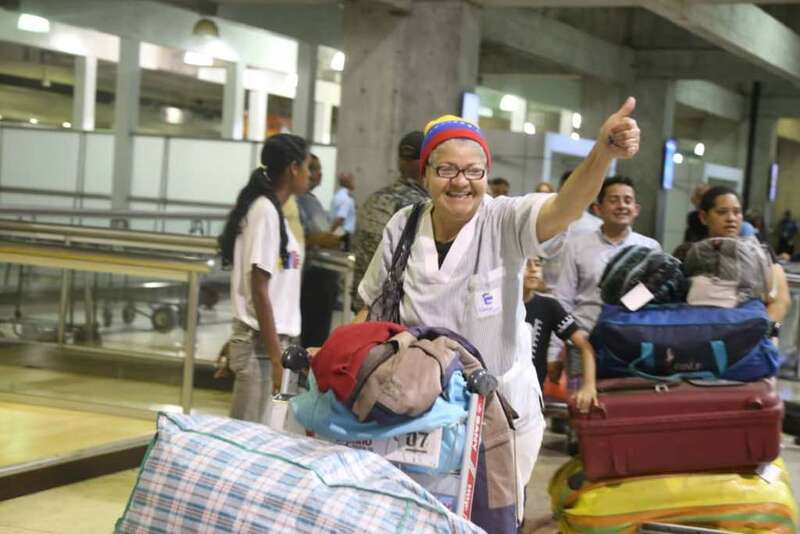 Given this context and to facilitate the return of compatriots, the Head of State, Nicolás Maduro, in his speech on September 3, ordered the activation of an airlift with the intention of extending a hand to those who wish to return to their country . This announcement is made in the scenario of the greatest xenophobia registered against Venezuelan migrants in countries like Peru, Brazil, Ecuador, Colombia, Chile and Argentina that has supported the campaign and the unilateral sanctions imposed by the United States and the European Union against the Fatherland of Bolívar.